Former India coach John Wright believes that champions India can become world champion again because of its superb batting. Wright said the Indian batting is the strong batting line up in the world. 60 year old Wright said "the current team is batting just as spectacular as the 2011 champion team and the Indian bowlers and fielders also give 100 percent and full support to the experienced captain Mahendra Singh Dhoni than this team will certain hold the trophy again." He said that the last time the team is full of youthful vigor which includes many new faces. World Cup taking early wickets and catches a lot will depend on.this team needs to get early breakthrough to make impact in the world cup. 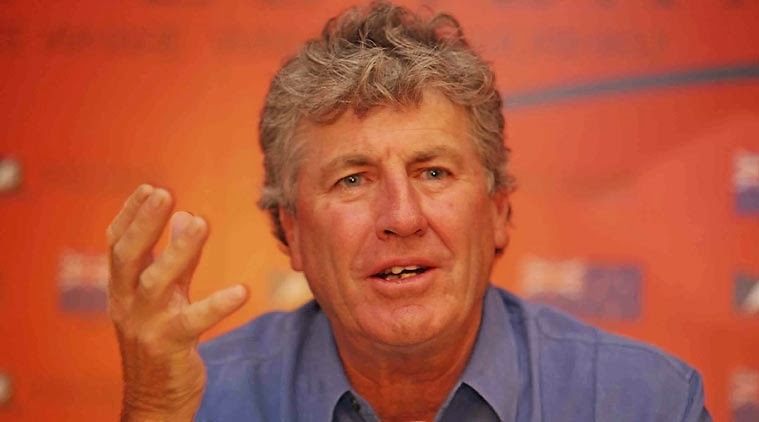 for more information about john wright he was the former coach of indian team.in world cup 2003 this was the guy who reach india in final match.ohn wright belongs from new zealand he knows the pitches of new zealand and australia.